The mission of Ronald McDonald House Charities of Bismarck is "to improve the lives of children and their families". We support programs that further this mission, including the Ronald McDonald House, the Ronald McDonald Care Mobile and the RMHC Scholarship Program. The Ronald McDonald House of Bismarck is a temporary "home away from home" that serves and supports the families of seriously ill chidren receiving medical treatment in Bismarck. We are proud to serve the patients of Sanford Health and CHI St. Alexius Health as well as many other local medical and dental facilities. The Ronald McDonald Care Mobile, is a state of the art mobile dental clinic that delivers urgently needed dental care to underserved children ages 0 through 21 in their own neighborhoods in the western half of North Dakota. 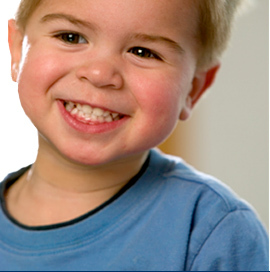 Please use the "Donate Online" button to make your donation to Ronald McDonald House Charities of Bismarck. Thank you. 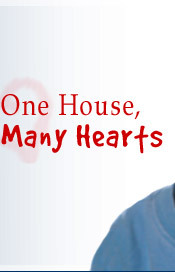 Can we count on you as a Giving Heart to Ronald McDonald House Charities this February 14th? Please click our "donate" button or go to: www.givingheartsday.org and make a donation to Ronald McDonald House Charities of Bismarck and have your gift of $10 or more matched by generous community donors. Or, you can mail a check dated 2/14/19 made payable to RMHC of Bismarck (check must be received by 2/14/19) for your Giving Hearts Day donation. You'll be helping us keep families close when they need each other the most. Thank you for being a Giving Heart!